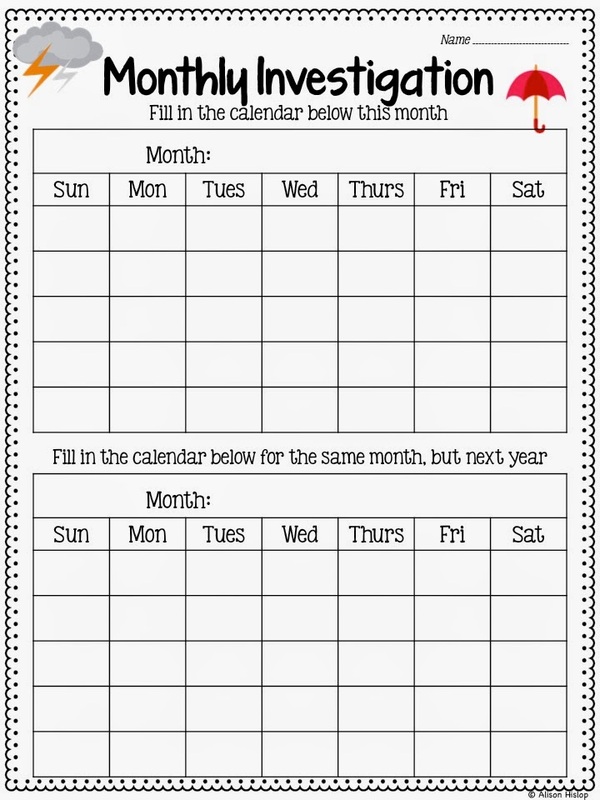 It took me a few years of complaining about the fact that my Grade 4 children didn't understand calendars to actually do something about it! 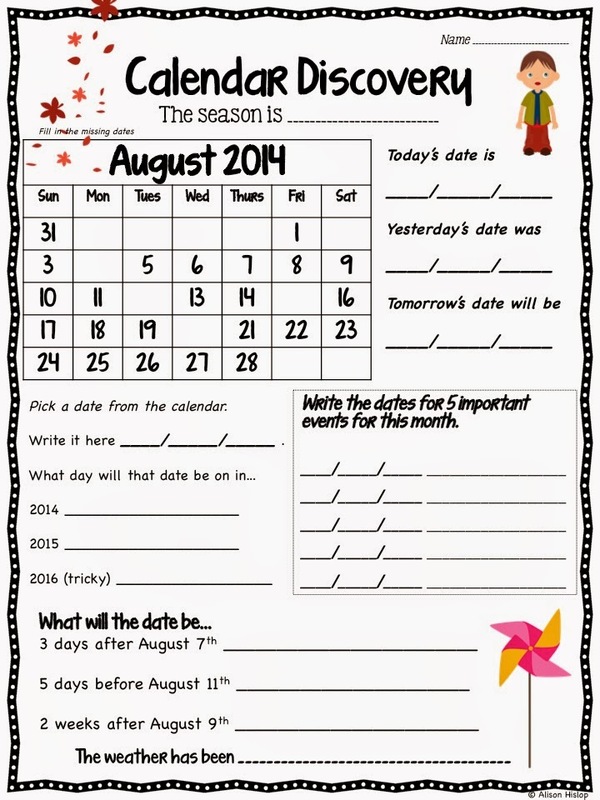 Since then I have always taught younger children and I have taught calendars on a daily and monthly basis! 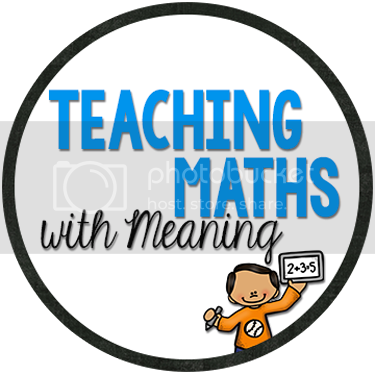 Through my Morning Maths I taught calendars as well as completing a monthly task. I used this task as a test to see how the children were progressing in their knowledge. I recently updated my Calendar Discovery for the coming Northern Hemisphere year - July 2014 to July 2015. The best thing about this pack is every year I update it so every year, simply re-download and use the new years version. A calendar task that will automatically change each year for you! You can download a sample to try out in your classroom for the month of August here. 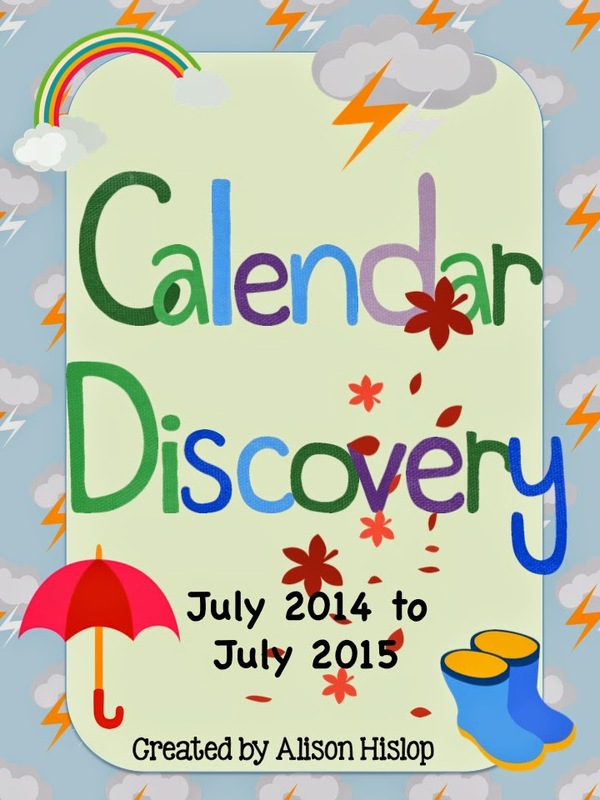 I'd love to give away 2 copies of my Calendar Discovery pack. Simply leave a comment with your email below for your chance to win. Winners will be randomly chosen and you have until Sunday 5pm (Australian Time)! Good luck. 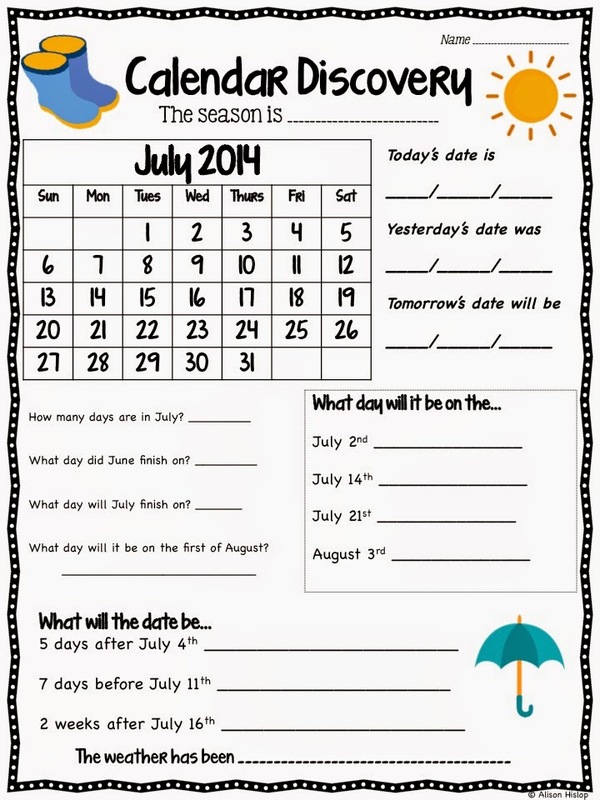 It is so important to teach Calendar! This looks like an amazing product! I bought this last year and I loved it! How do I download the update? Thank you so much for generously sharing all your great ideas with us?